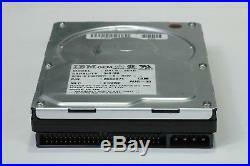 100% Tested IBM 540MB HDD DALS-3540 SCSI-2 Hard disk drive. You will receive the following item. 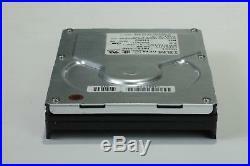 The disk drive DALS-3540 , serial # 3J082580. This item has been used previously of old 68K Mac. There are small scratches, but it is beautiful. All sectors of the disk have been initialized with 0 as shown by the test result. 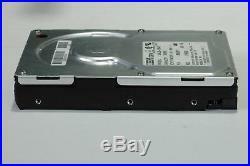 It is fully tested with two disk test programs and is fully operational and functions as intended. Mac OS 9 + B'sCrew 4 Disk Test Tool. No defect, not logged test time. Windows XP + DLGDIAG Disk Test Tool. Note for SCSI disk usage. 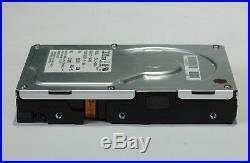 Serious troubles occur due to mistake of ID setting or no termination of a SCSI disk network. Fore example, a computer does not recognize a disk. If two or more devices with the same SCSI ID exist on one SCSI network, the system does not work normally. If there is no termination of the SCSI network, signal will be corrupted by signal reflection and will not work normally. A termination must be exist of the SCSI network. These cause must be fixed, and you must reboot the computer. I will strictly pack and send it so that it will not break. 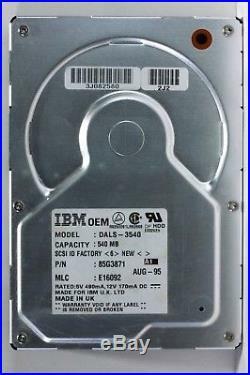 The item "100% Tested IBM 540MB HDD DALS-3540 SCSI-2 Hard disk drive" is in sale since Tuesday, October 2, 2018.